This fall I had the opportunity to visit historic Gonzales, Texas, with my daughter. It was an incredible sponsored trip, one that had us walking in the steps of those who so bravely fought for Texas independence from Mexico all those years ago. It brought those history lessons from school to life. Just a bit over an hour outside either Austin and San Antonio, we fell in love with this small town of just over 7,000 in population. Some might drive right by Gonzales and not know the hidden gems they were passing by. Follow along and I’ll show you exactly what to do in Gonzales, Texas, with kids and why you should put this on your list of places to visit, especially if you have a child who has already studied Texas history in school. This post was a part of a sponsored trip to Gonzales, Texas. The partnership included lodging, food & beverage, and compensation for the event. The opinions reflected are honest and unbiased based upon the individual blogger experience. Pioneer Village is an outdoor living history center on the edge of town, just a short drive from the downtown area. 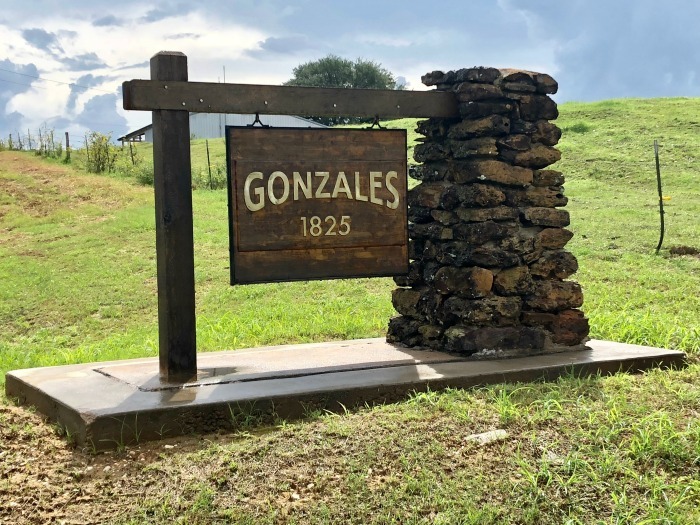 A walk through the village will take you back in time, telling the story of the settlers who came to Gonzales, Texas, in the late 1800s and early 1900s. While here you’ll be able to go inside different buildings of an era gone by, like the blacksmith shop, saloon, and Hamon church, a cypress-sided building still used for special events and weddings. If you are lucky, you’ll be able to spy several demonstrations during your visit, learning how Texans in centuries past lived and worked. TEXAS TRAVEL TIP: Make plans to visit Pioneer Village on the first Saturday during October each year. 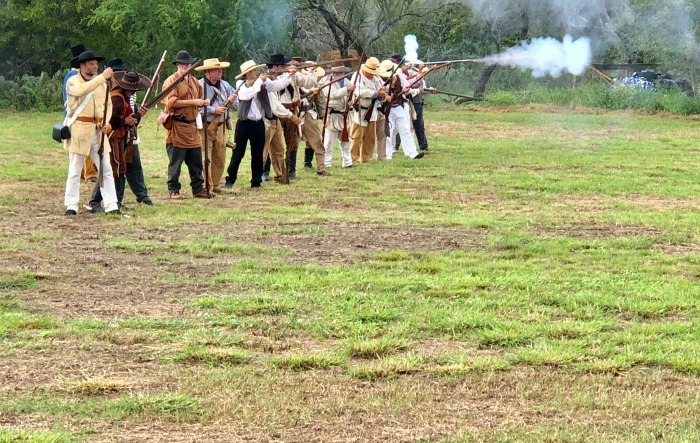 That is during the famed Come and Take It Celebration weekend and you’ll discover something extra special going on at Pioneer Village – a battle reenactment. I had the privilege of viewing this and it was like nothing I had ever experienced. Volunteers in period costumes. Real guns and ammunition. A must for kids who have studied Texas history. Just down the block from the Gonzales county courthouse is a row of shops you’ll want to visit. Top on that list for kids – Sweet B’s Dessert Boutique. 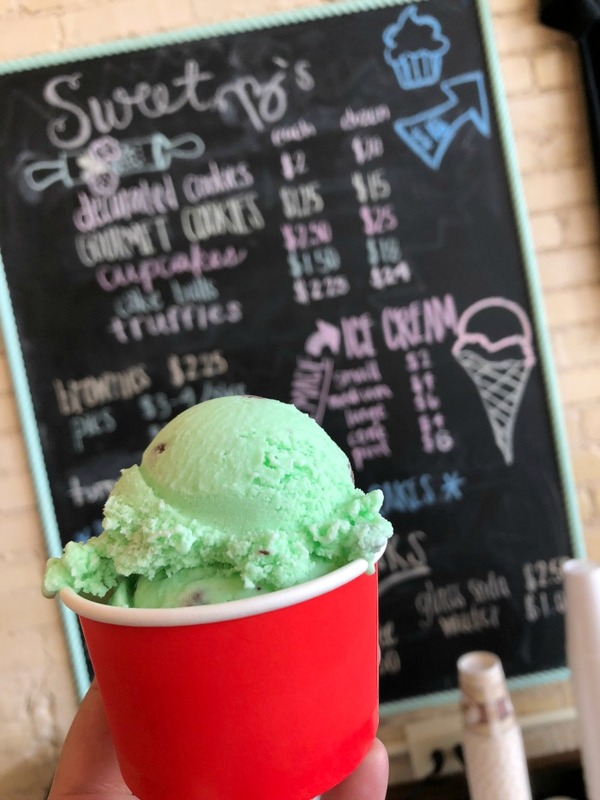 With the cutest storefront area offering items like tea towels, aprons, and colorful mixing bowls for sale, the draw is, of course, homemade ice cream. I’ll have to confess that we might have visited Sweet B’s more than once during our weekend visit, but really, who could blame us? There was so much to try. Sweet B’s is more than ice cream though. They offer cupcakes (with flavors like s’mores and maple), gourmet cookies (featuring flavors like domino and macadamia nut), decorated cookies (we spied Texas-shaped and frosted ones), truffles, brownies, mini pies, brookies (brownie and cookie mixed), and even fried pies (a southern staple)! I even caught a glimpse of something I’d never seen before – a Frostie Blue Cream Soda. And with all those options, I need to visit yet again! TIP: Try the Big Red homemade ice cream. It’s their most popular flavor! As for me, I can without a doubt recommend the Mint Chocolate Chip and Amaretto Cherry flavors. Now I know what you are thinking? A jail? With kids? Yes! Hear me out. This isn’t an actual working jail anymore, but it was for 90 years in Gonzales. I think that every child should visit a jail at some point. It makes for great conversations about choices and consequences, plus in the case of many jails, so much history. 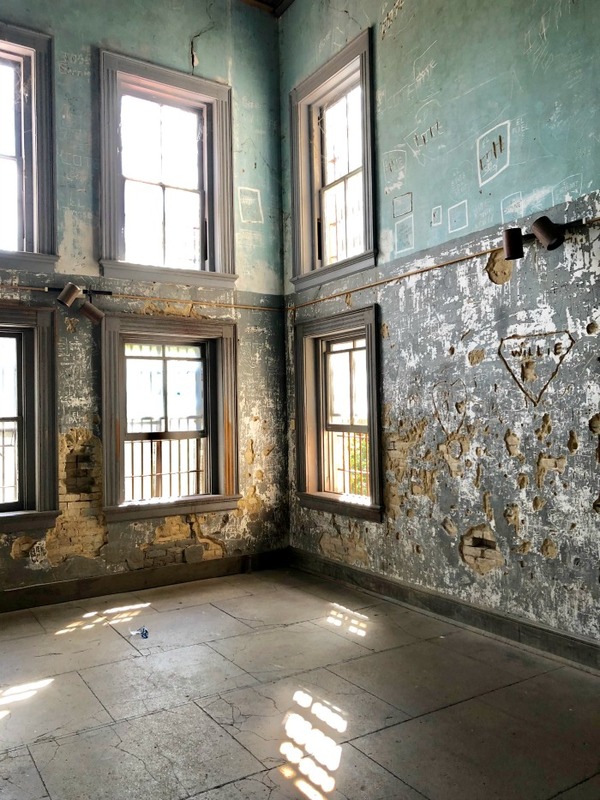 In the heart of downtown Gonzales, you can visit the Gonzales County Jail Museum free of charge, where you can walk through the sheriff’s office, jailer’s room, dungeon, and gallows. Yes, there were actual hangings in this jail. Kids don’t need to go to San Francisco’s famed Alcatraz to learn about inmates escaping. They’ll discover it right here in Texas, where they can see the hole in the wall used for escapes. I had a very unique experience, that many can also partake in. You see, I met Sandra Wolff, who was the daughter of one-time Sheriff McGinty. She actually grew up in the jail, living there from age 6-16, as her father lived there to oversee the jail and her mother cooked for the inmates. It was so interesting to chat with her about her life and experiences living there. For older kids and teens, if you dare, take one of the evening ghost tours. I passed. Ha! Any child in Texas public school has likely by the end of elementary school already studied Texas history quite a bit. Having not grown up in Texas, most of the history except for a bit about the Alamo, was foreign to me. But, for my daughter, she knew the facts – who, what, where, when, and most importantly, why. A big portion of that where occurred right here in Gonzales, Texas. I had learned a lot during our weekend stay, and a lot of it centered around a battle in Gonzales, and a small, almost pint-sized cannon. That historical cannon – well, you won’t find it at the Smithsonian in Washington, D.C., but rather right inside the Gonzales Memorial Museum. And you can touch it too (you can’t exactly do that in D.C.)! TIP: Walk around the outside of the museum. You’ll find an amphitheater that the kids will love to climb around. This was the big reason we were visiting Gonzales, Texas. 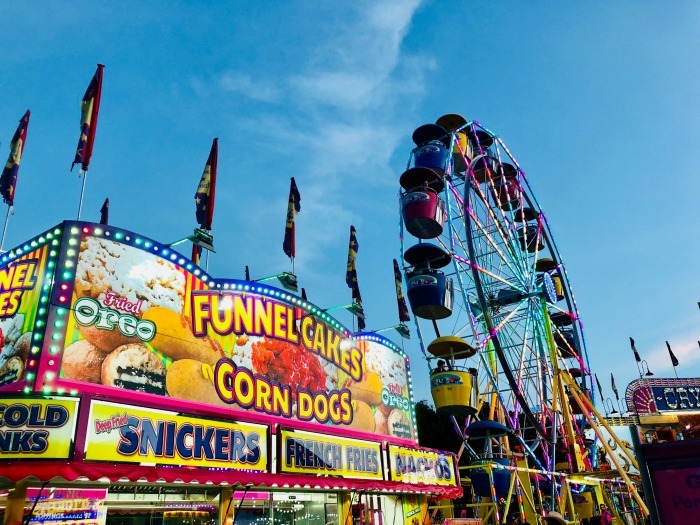 It’s the weekend that the town comes alive, bursting with visitors from all around the state, the country, and in fact, the world. I had the chance to talk to many of them, including one couple who makes this an annual tradition, in my post about Where to Stay in Gonzales, Texas – Belle Oaks Inn. The celebration occurs the first weekend each October and trust me when I say you’ll want to book your lodging well in advance, as some of the most impressive locations fill quickly. This festival begins on Friday and goes through Sunday, filling the town square with activities like concerts (this year we enjoyed country legends Eddy Raven and Shenandoah), a 5K run/walk, the famous parade (complete with camel), mechanical bull, chicken flying contest (oh yes), petting zoo, carnival rides, car show, and yes, the battle re-enactment I mentioned earlier. If there’s one thing I know about visiting anywhere, whether it’s a large city or small town, it’s that walking around without a destination in mind often leads to some surprises and extra fun. Gonzales was no exception. Just walking around downtown Gonzales, we found some great spots. Junk -N- Java – We discovered that there was a small coffee shop in the very back of an antique shop, called Junk -N- Java. You can order everything from sweet tea to latte and frozen lemonade to hot chocolate. You’ll spy a sign out front on the sidewalk so you know where to go inside. 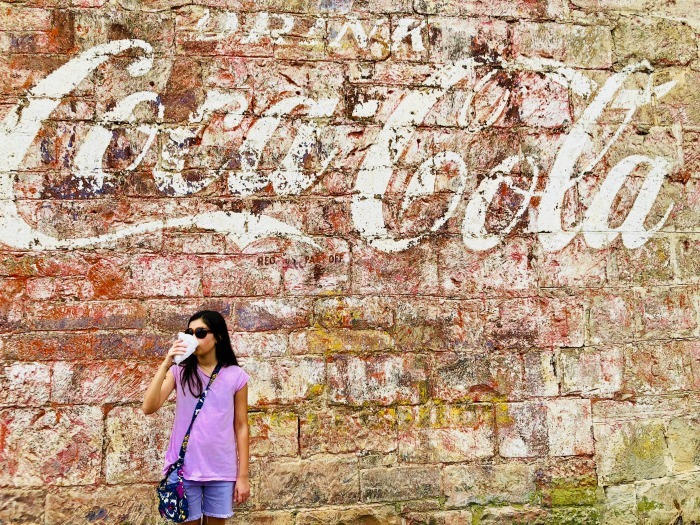 Coca-Cola Mural – Discover this cool Coca-Cola mural on the side of a building just down the block from the Come and Take It Bar and Grill. Snap a photo for Instagram! Spaces Sublime – Tween and teen girls might enjoy popping inside Spaces Sublime, a small store featuring home decor, holiday items, and the cutest handbags and unique souvenirs around. 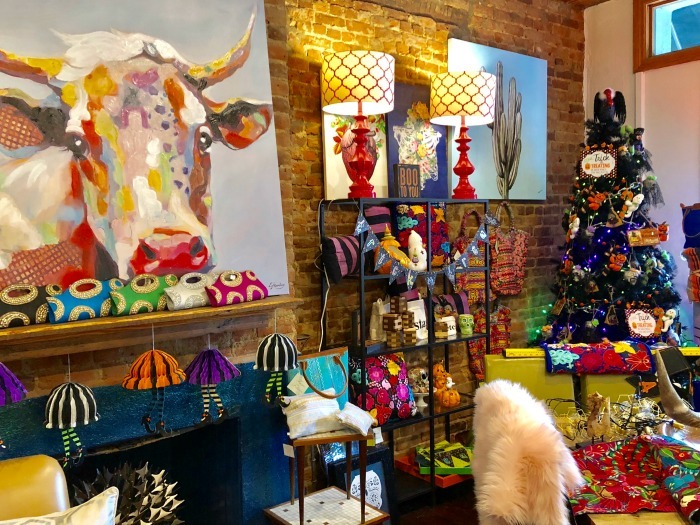 Laurel Ridge Antiques and Christmas Corner – While this is a much-loved bed and breakfast you can stay at (see Sara’s article on the Laurel Ridge Inn), the bottom rooms are so much fun to shop in. You might even spy a Christmas decorated golf cart parked out front showing you the way. Not for toddlers and preschoolers though, as there were plenty of breakables. Come and Take It Wall Mosaic – Across the street from Laurel Ridge Antiques and Christmas Corner is the most beautiful large mosaic featuring the cannon prominently. A great photo opp. This is one I would recommend for older kids and teenagers. There are two fascinating finds located deep within the local library. The first is The DuBose Collection and the second is the Mary Elizabeth Tinsley Texas History Center. The DuBose Collection boasts itself as one of the largest private gun collections in the United States. The collection was curated by Charles DuBose, a Gonzales, Texas native who graduated from Gonzales High School before entering the Army. His collecting began when he purchased some guns in Germany years ago. The collection is now on display at the local library, on loan for twenty years. 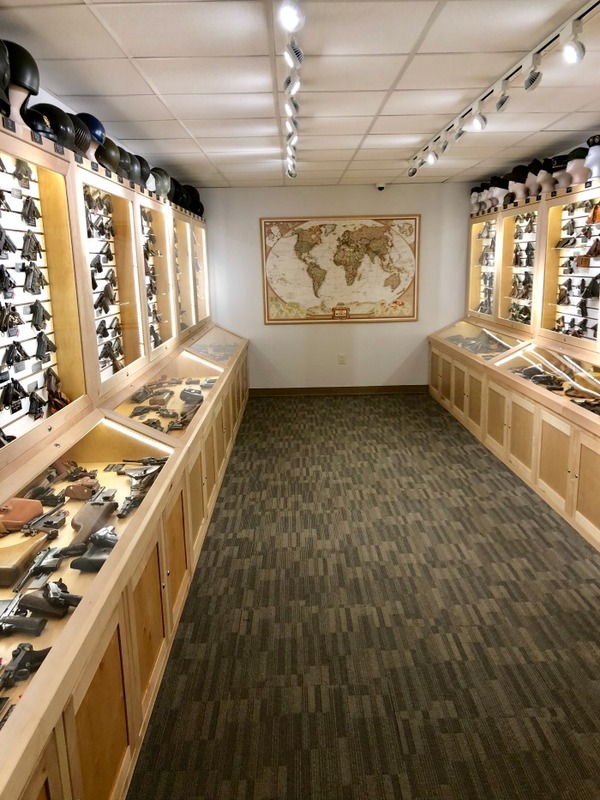 Located in what appears to be a vault, the collection includes items from around the world – weapons, holsters, helmets, swords, flags, and my personal favorite, trench art. What is trench art you ask? It is art that soldiers created literally while in the trenches during a war. So impressive and worth a visit just to see those alone. 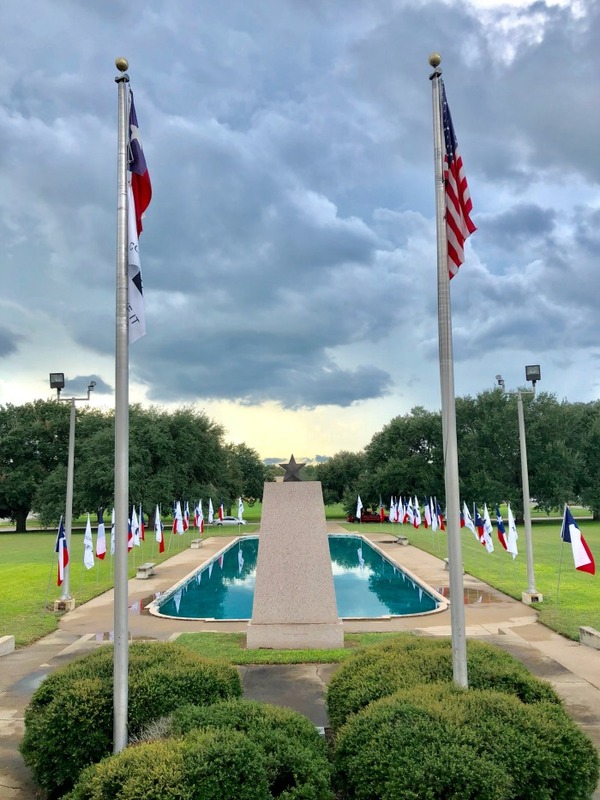 The Mary Elizabeth Tinsley Texas History Center is just across the library from The DuBose Collection and history lovers will geek out over the signed letters from Sam Houston, Republic of Texas dollar bills, and other memorabilia hanging on the walls. We thoroughly loved our trip to Gonzales, Texas and hope you make plans to visit soon! Click below to find out more about Belle Oaks Inn and my stay! This article was provided for Texas Travel Talk by Debra Muccio of Finding Debra. Debra wasn’t born here in Texas, but quickly fell in love with it after her parents moved their family to the Dallas area. A lifestyle and travel blogger, you’ll find Debra covering a variety of topics from travel and entertainment to food and health. Whether sitting in Big Bird's nest (yes, she knows how to get to the real Sesame Street), or walking the red carpet in Hollywood, Debra is always up to something. Raising a daughter alongside her husband, she's a mom who is focused on creating unforgettable memories, one trip at a time. Gonzales, Texas looks amazing. I am definitely taking my kids! Thank you for this wonderful guide! I LOVED Gonzales and can’t wait to go back! I was surprised by all the things to do with kids in such a small town. The jail was my favorite by far!